Growing up, we didn’t have a whole lot in the way of holiday traditions. There wasn’t so many events and activities as there are now. So our traditions were a bit more homey. Assorted nuts out for random cracking on the coffee table, Christmas movie marathons, random baking of way more holiday treats than one family should ever eat, that sort of thing. We’d do the random walk around the neighborhood to look at a few Christmas lights and that was it. My Christmas loving heart is super thankful for all the fun events that are in and around Metro Vancouver that we can incorporate into our traditions. One that started very early for us is and will always be right up near the top of the list and that’s, you guessed it, The Polar Express (see last year’s review here!). 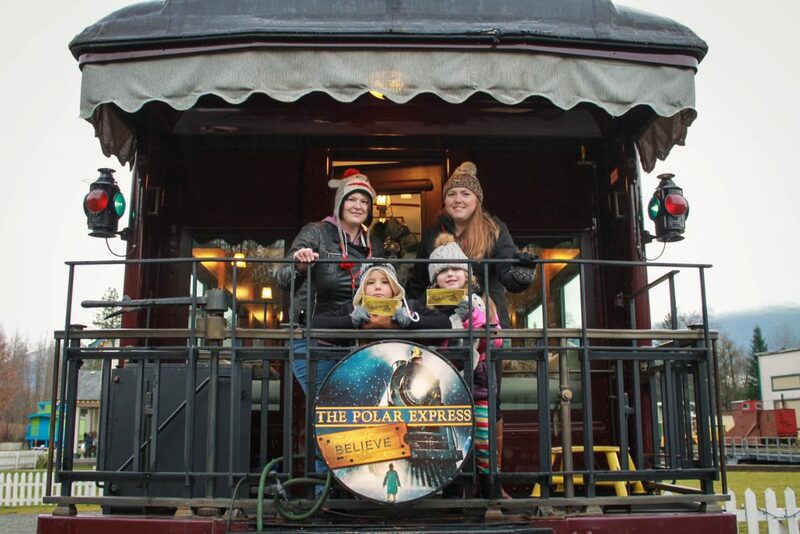 We were invited by the wonderful crew at the West Coast Railway Association in Squamish to experience this year’s Polar Express and as always, we jumped on it! This year Helisa and Breton were able to join us so naturally, we dressed them up in matching pajamas, donned our winter hat and mittens and made the early trek up for a 10am train ride! 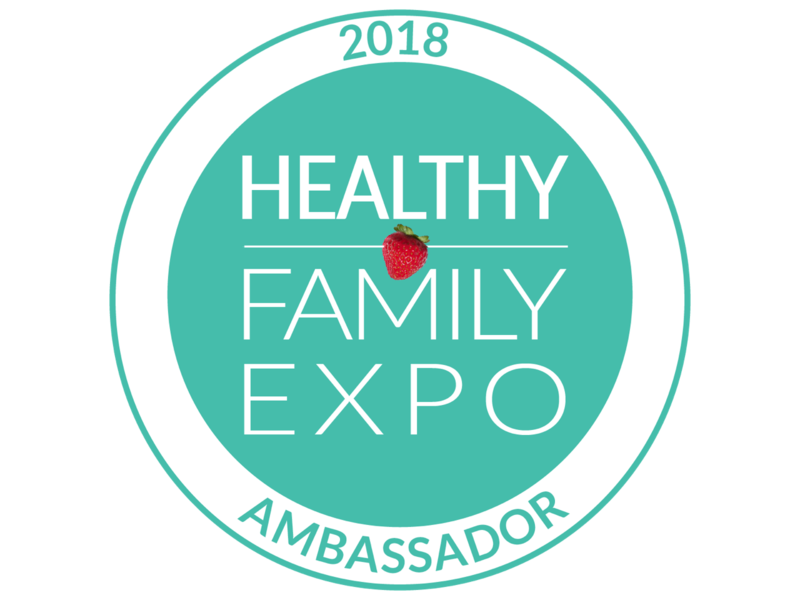 This will be our 4th year attending the event and even if we weren’t attending as bloggers, we’d still be going. The Polar Express train ride is the West Coast Railway Associations largest fundraiser each and every year, and everyone who participates from the conductors, actors, chefs and performers are all volunteers who are passionate about the event and supporting preserving British Columbia’s railway heritage. 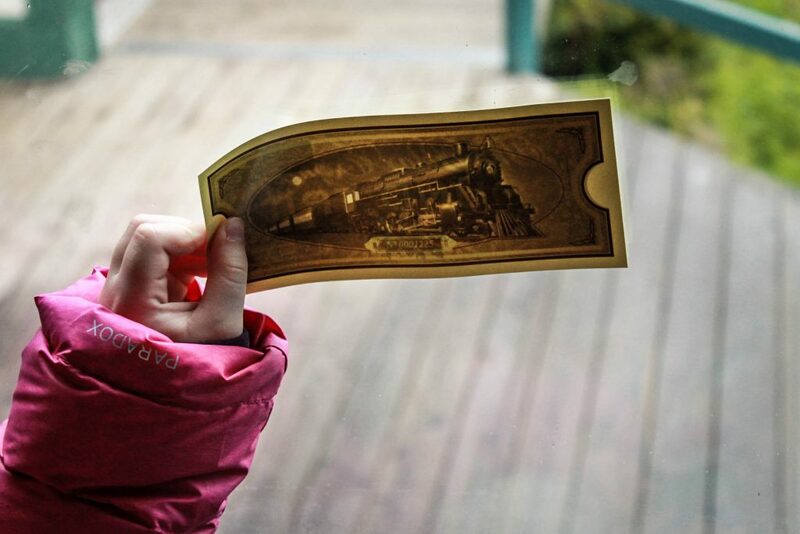 The park is such a valuable part of Squamish and really allows kids an inside look at so many different trains, how they have been used throughout history and an up close look at how they work. 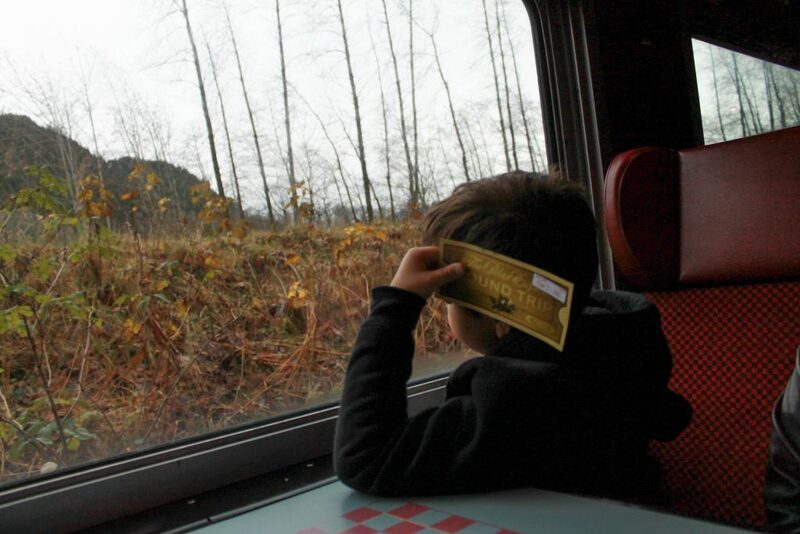 The Polar Express train ride starts with picking up your golden ticket, a change from last year, the ticket pickup was right when you walked into the park so it gave a bit more magic to the experience when you weren’t walking through the displays to wait in line. They also had part of the “North Pole” blocked off so you didn’t see that part before the train – another little bit of magic that we appreciated. 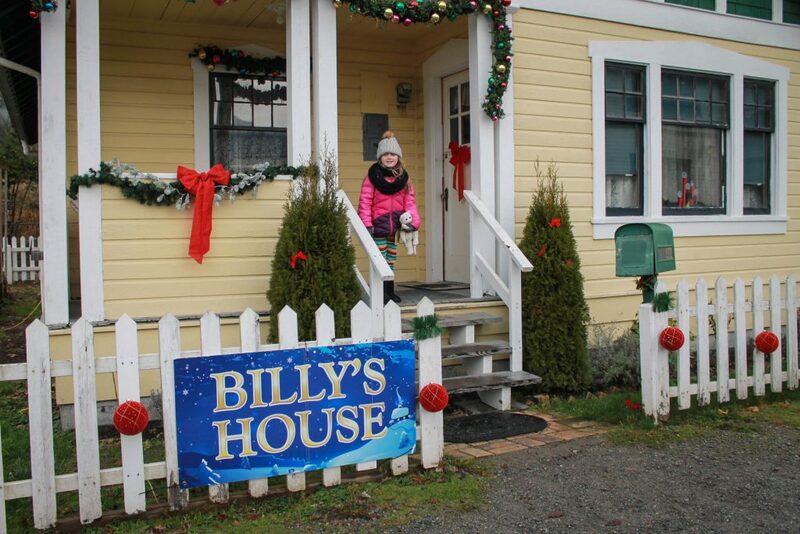 Once you have your golden ticket, depending on when you arrive you have some time to wander over to Billy’s house, check out the outside concession, play on the little trains outside or most importantly – make a quick washroom trip! For most of the trains, there isn’t a washroom on board so a potty break beforehand is a must. When A was little, we put her in a pull-up *just* in case because a lot can change in 45 minutes! I’ve heard a few complaints over the years that it isn’t a “real train ride” and you don’t “go anywhere” and I have to wonder what train these folks were actually on?! 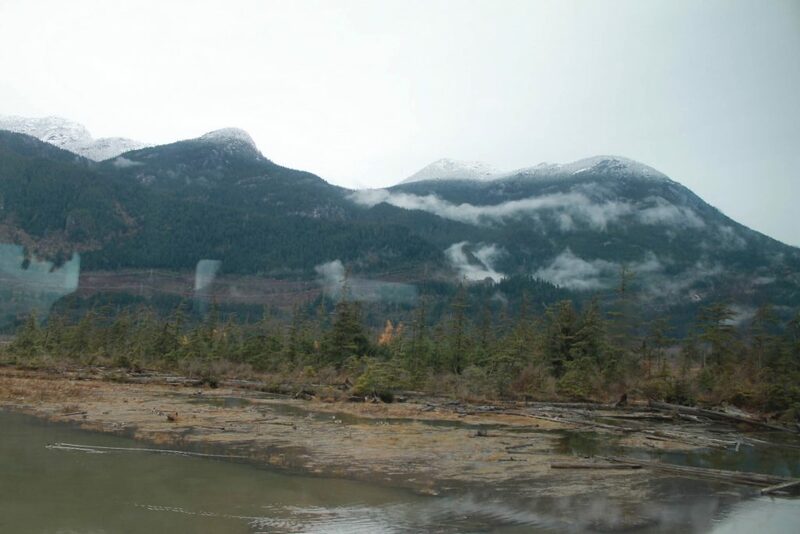 The train ride is just under an hour and does go down to the Squamish Estuary and back. Though not a roaring tour through the mountainside, there is still some beautiful scenery to take in and of course, the company of those you’re with! The first little bit of the train ride has Christmas music playing throughout the cars as everyone gets settled in, then you’ll usually spot the hobo making some appearances throughout the cars. We had a good chuckle at him being kicked out of the seats next to us as the conductor kept asking for his ticket! The kids were laughing for a solid 10 minutes. We had First Class tickets, which give the perk of reserved seating, a table between the seats, first to board and disembark the train and a collectors mug and bag. We’ve done first class and Candy Cane Class over the years and the little bit extra to have reserved seating + the mug is worth it for us. The mugs are beautiful and a memory that we enjoy bringing out each year to enjoy hot chocolate with our Christmas movies. I’m not sure where they get their hot chocolate from or who makes it, but I think there’s a little bit of holiday magic in there because it is delicious! Each cup of cocoa comes with a cookie to enjoy as well and this year they were massive! 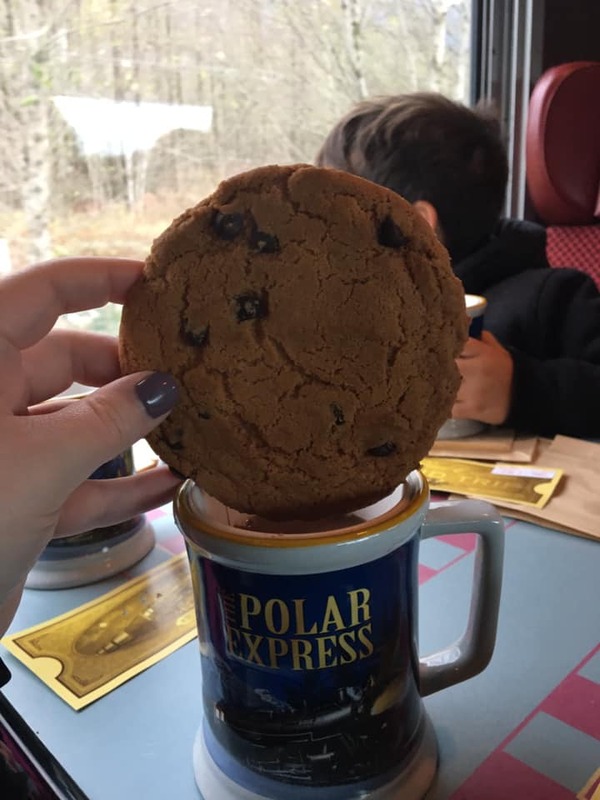 Biggest cookies we’ve ever seen and we had a good chuckle trying to dip it in the mugs. The kids couldn’t wait to finish their cookies and start breaking up their candy cane from Mr. Candy Cane to put into their hot chocolates for an extra treat. I did feel in previous years there was a bit more entertainment, but from what we heard there was a train derailment before one of the times and it ended up adding 1-2 extra trains onto our timeslot so it was a lot more cars to run through and entertain. The kids didn’t seem to notice or care though and still had a ton of fun. Once they were all finished with their cookies and hot chocolate it was time to start busting out the Christmas carols! 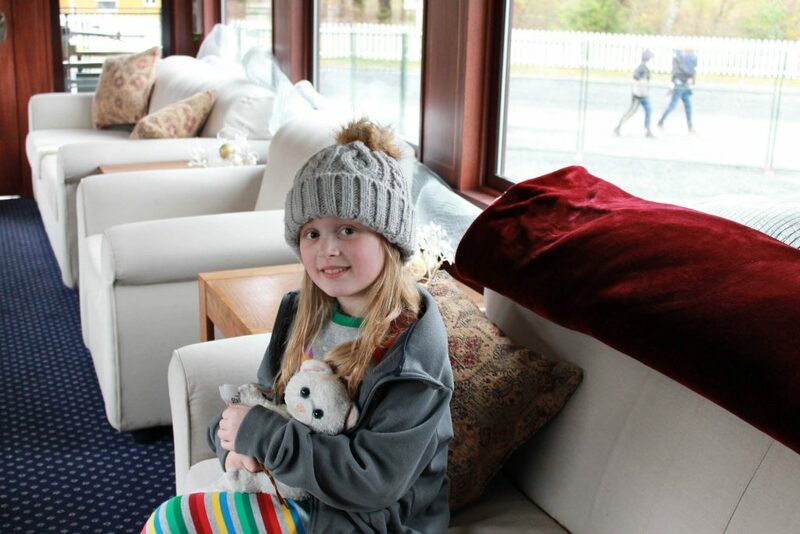 One of Alivia’s favourite part of the train rides, she eagerly thrust up her hand to sing one of the songs that she is going to be singing at her music studio. There’s something super festive hearing an entire train burst into a round of “We Wish You A Merry Christmas” with little giggles happening all around. When the ride is all said and done, the kids sometimes get a little bit sad that it’s over but we remind them that we’ve arrived at the North Pole and they quickly scurry off the train to head over to the station to see what magic lies inside. 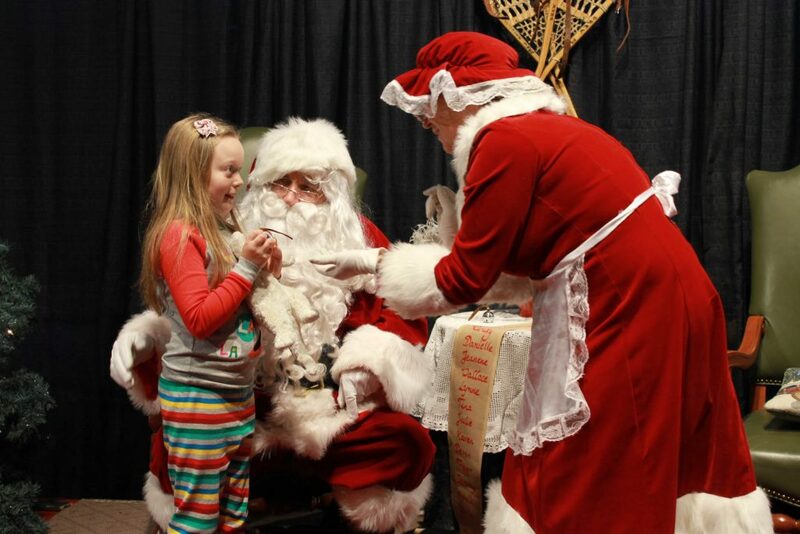 A pro tip for you – there is plenty to see and do inside the North Pole, but the big draw is definitely the man in red. Santa’s line gets *long* and we recommend heading there first so you aren’t standing in an hour lineup with sugar high kids. Meet Santa & Mrs Claus and then head off to explore the rest. 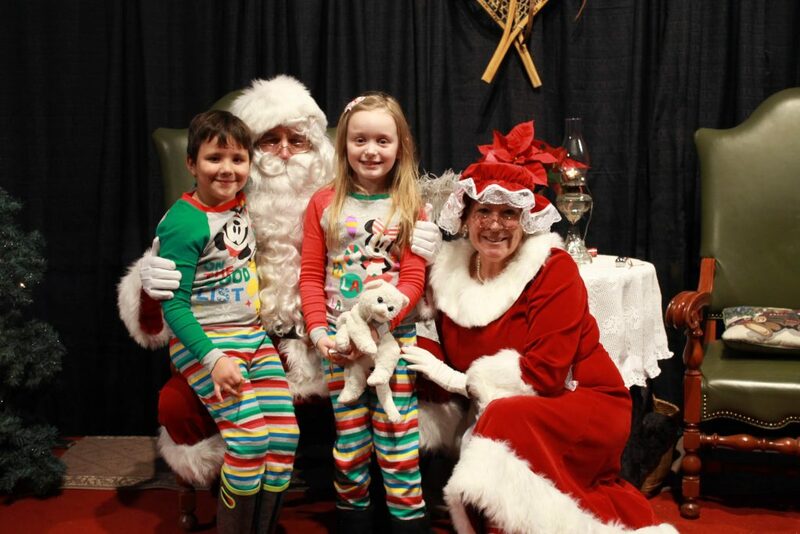 The time with Santa & Mrs. Claus is probably my favourite part of the entire experience, A is usually quite scared of Santa but having Mrs. Claus nearby to calm her and talk with her made such a huge difference. 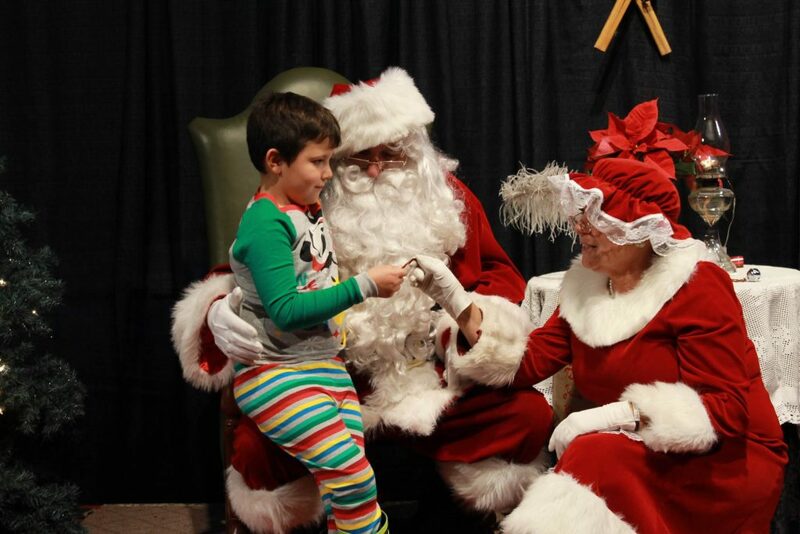 There’s no rush with Santa, he talks to each little one and poses for photos, and Mrs. Claus helps present them with their special Polar Express bell to make sure they still believe. Once the littles are finished with Santa & Mrs. Claus, this is basically where ours disappear. There’s so much to do inside the North Pole! From craft stations, gingerbread cookie making, wooden train making ($10, not included), mini trains upstairs that the kids can control, and the mini train ride downstairs that goes around the Santa area, there’s also the new second building with a bouncy castle, mini golf and a real train the kids can tour with a bit of history and a real train they can control the whistle and bell on (it’s loud, plug those ears lol). The train ride itself may only be an hour but our kids can close out the North Pole! Each ticket includes one ride on the mini rail, but additional rides can be purchased by donation, so we usually squeak in 2-3 rides and ring our bells through the tunnels. We also lucked out on our second ride, as Santa & Mrs. Claus were waiting outside the tunnel to high five the kids and it made their day. Don’t forget to also check out the gift shop which has a bunch of gift ideas for the train lover at home, as well as there is a Polar Express gift shop that is stocked full of ornaments, props from the movie, snow globes and if you didn’t opt for First Class tickets, there is a limited amount of mugs available for purchase as well. We also had a little bit of a behind the scenes tour of a little bit less known option for the Polar Express, did you know that you can reserve an entire car for groups of 15? 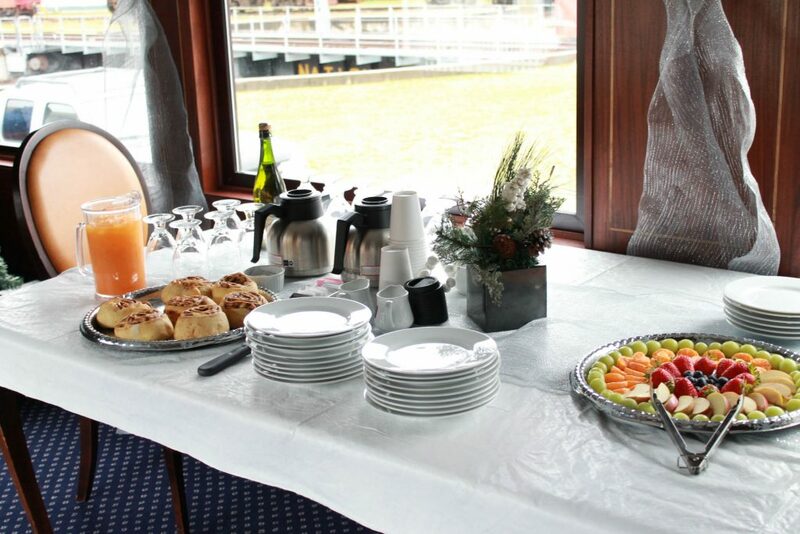 A bit more on the festive side with white couches, holiday decorations, snacks and drinks on board, your own washroom and some beautiful photo ops? The last train was quite beautiful and something we hope to get to do with our family in the next couple of years. 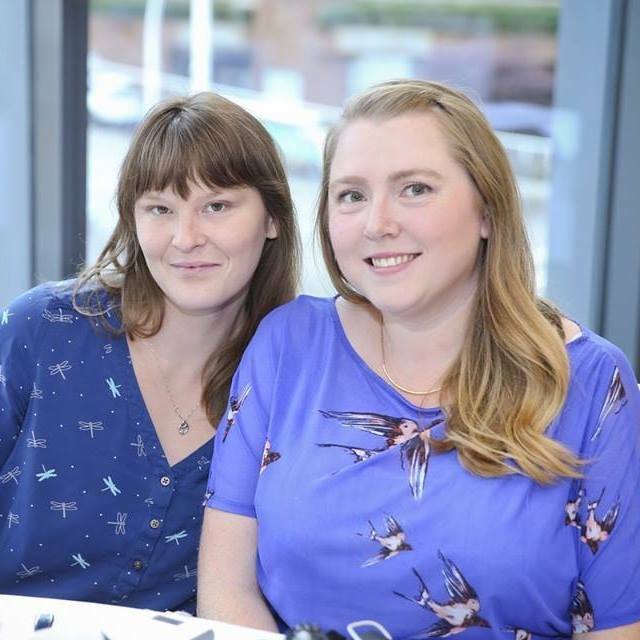 To check availability for groups and to get pricing make sure to contact WCRA directly as this has to be booked through them and not through the website. Overall, this was one of the best years we’ve experienced with The Polar Express, and we can’t wait to see what next year brings! Whenever we do an event like this, I do my best to see the event from my child’s eyes and both kids left smiling, ringing their bells the entire way home and sharing their favourite part of the ride. And for the first time, thanks to some additional rides and cars being added, there is still some tickets available when we share this! Make sure to GRAB YOURS if you’re considering adding this holiday tradition to your family. Make sure to bring the cozy warm pajamas, lovies and warm boots and gloves and get ready to be transported to the North Pole! Does the bell string ring for you? This looks so fun, hope to do it some day! The polar express is so magical!! This looks really fun ! That looks like a really enjoyable start to the festive season. This looks amazing. What a great family tradition! We are going tomorrow! Can’t wait. We are going tomorrow. Can’t wait ! This looks like so much fun my boys would love it! It looks like so much fun. The book is delightful. watching Polar Express right now! 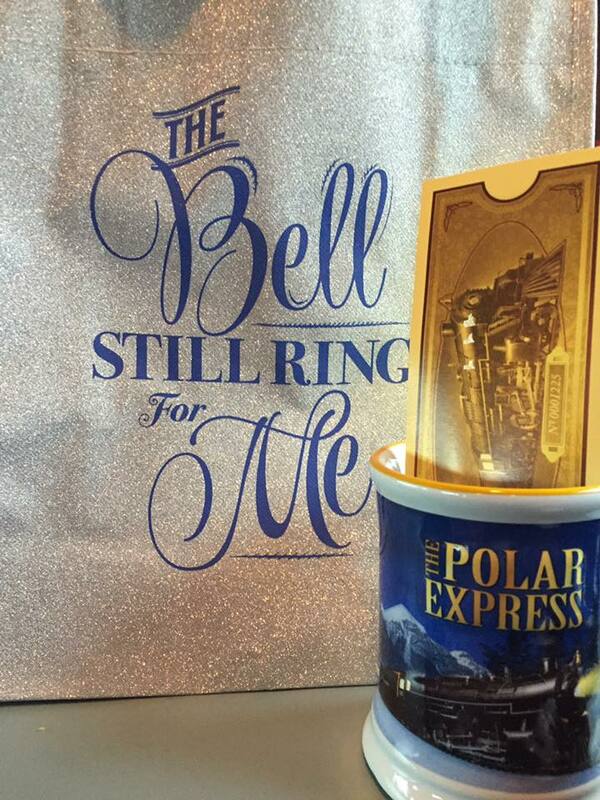 I would to do the Polar Express excperience! Looks like so much fun! This sounds sooooo fun! I would love to do this with my nephew! 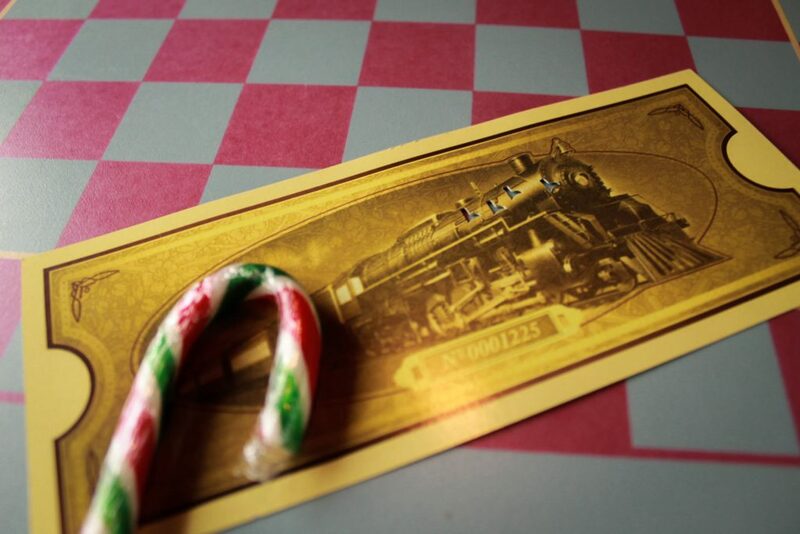 I haven’t taken my kids on the polar express yet, but I’m thinking next year it will have to happen!